Submissions are currently open for the 2018 Moon City Short Fiction Award. A prize of $1,000 and publication by Moon City Press is given annually for a collection of short fiction. Using the online submission system, submit a manuscript of 30,000 to 65,000 words with a $25 entry fee by October 1. Entries may include short stories, flash fiction, or novellas. The editors will judge. Past winners of the award include Kim Magowan for Undoing, Michelle Ross for There’s So Much They Haven’t Told You, Laura Hendrix Ezell for A Record of Our Debts, and Cate McGowan for True Places Never Are. Visit the contest website for complete guidelines, and check out our Grants & Awards database and Submission Calendar for more upcoming contests in poetry, fiction, and nonfiction. BuzzFeed has opened applications for its third annual Emerging Writers Fellowship. The fellowship awards three nonfiction writers a stipend of $14,000 and career mentorship from BuzzFeed News’s senior editorial staff. Beginning in March 2018, the fellows will spend four months in BuzzFeed’s New York City office and focus on writing cultural reportage and personal essays. Applications are open until December 4. Launched in 2015 by Saeed Jones, the fellowship’s mission is to expand the media landscape and empower emerging writers, particularly those who are “traditionally locked out” of media opportunities. “Investing in diversity and emerging voices doesn’t just have to be a conversation on panels and roundtables; it can be a reality,” Jones said in an interview with Poets & Writers Magazine last year. 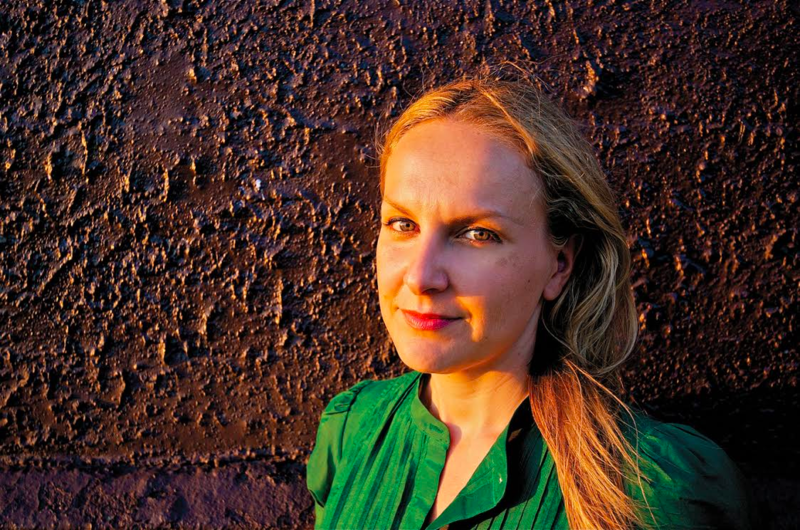 With the third round of applications opening today, BuzzFeed’s new executive editor of culture, Karolina Waclawiak, spoke with Poets & Writers Magazine about the 2018 program, advice for applicants, and the value of nurturing writers beyond the fellowship’s conclusion. Will there be any changes to the 2018 fellowship program? There are two major changes to the upcoming program: We are accepting three fellows instead of four, and we are increasing the stipend amount from $10,000 to $14,000. These changes ensure that our fellows receive as much personal attention as possible, as well as financial viability for living in New York City for the program’s duration. What can fellows expect during a typical week in the program? The fellows will pitch, write, and edit original pieces on a broad range of cultural coverage, which will be published on BuzzFeed. In addition, each week we bring in an industry professional to meet with the fellows, including staff writers from other publications, book and magazine editors, and agents. These meetings have proven to be very beneficial; last year all four fellows left the program with an agent! Who would be considered an ideal applicant? We encourage writers with a strong desire to create an impact on cultural conversations to apply. All experience levels are welcome—don’t be deterred if you don’t have a lot of clips. Over the past two years the fellows entered the program with varying levels of experience, and all grew as writers and professionals. This is a great opportunity and a rigorous program if your goal is to become a staff writer at a major publication, or even if you just want to elevate your platform and be seen in this industry of so many writers. On a practical note, I suggest reading the work of previous fellows before applying. After two successful years completed, what have you noticed about this fellowship that sets it apart from similar programs? We make a point to provide support and guidance for these writers beyond the conclusion of the fellowship. Whether they need help getting into residencies—for example, two of our fellows from last year were accepted to Breadloaf—or want assistance growing their network of other writers, editors, and publishers, we care about building sustainable careers for these important voices. The mentorship doesn’t end when the program ends. To apply, using BuzzFeed’s online application form submit a resume or CV, 3 to 5 examples of your essays or articles, a statement of purpose, and two letters of recommendation by December 4. There is no entry fee. Visit the website for complete guidelines. Fiction and nonfiction writers: consider taking a chance and submitting your story, essay, or prose manuscript to a writing contest. Below is a list of contests with deadlines in the second half of September. Each contest offers a first-place prize of at least $1,000. Submissions are currently open for the 2017 Frontier Poetry Award for New Poets. A prize of $2,000 and publication in Frontier Poetry is given annually for a poem by an emerging poet. Tyehimba Jess, winner of the 2017 Pulitzer Prize in Poetry, will judge. Poets with no more than two full-length published collections are eligible. There is no style or topic restriction, but the editors want “work that is blister, that is color, that strikes hot the urge to live and be.” Using the online submission system, submit up to three poems totaling no more than five pages with a $20 entry fee by September 30. Multiple submissions are allowed. Visit the website for complete guidelines. Check out our Grants & Awards database and Submission Calendar for more upcoming contests in poetry, fiction, and nonfiction. If you’ve completed a full-length poetry manuscript and want to submit it to publication contests, look no further. Below you’ll find contests with deadlines in September that offer publication and a prize of at least $1,000. California State University in Fresno Philip Levine Prize for Poetry: A prize of $2,000 and publication by Anhinga Press is given annually for a poetry collection. C. G. Hanzlicek will judge. Deadline: September 30. Entry fee: $28. Mad Creek Books Journal/Charles B. Wheeler Poetry Prize: A prize of $2,500 and publication by Mad Creek Books, the literary trade imprint of Ohio State University Press, is given annually for a poetry collection. Kathy Fagan will judge. Deadline: September 30. Entry fee: $38. New Criterion Poetry Prize: A prize of $3,000 and publication by St. Augustine’s Press is given annually for a poetry collection that pays close attention to form. Roger Kimball, Charles Martin, and David Yezzi will judge. Deadline: September 30. Entry fee: $25. New Issues Poetry & Prose Green Rose Prize: A prize of $1,000, publication by New Issues Poetry & Prose, and a reading at Western Michigan University is given annually for a poetry collection. Poets who have published at least one full-length collection of poetry are eligible. Deadline: September 30. Entry Fee: $30. Red Mountain Press Poetry Prize: A prize of $1,000 and publication by Red Mountain Press is given annually for a poetry collection. Irena Praitis will judge. Deadline: September 15. Entry fee: $28. University of Arkansas Press Miller Williams Arkansas Poetry Prize: A prize of $5,000 and publication by University of Arkansas Press is given annually for a poetry collection. Billy Collins will judge. Deadline September 30. Entry fee: $28. University of Massachusetts Press Juniper Prizes: Two prizes of $1,000 each and publication by University of Massachusetts Press are given annually for a first poetry collection and a poetry collection. The creative writing faculty at the University of Massachusetts in Amherst will judge. Deadline: September 30. Entry Fee: $30. University of Wisconsin Press Brittingham and Felix Pollak Prizes: Two prizes of $1,000 each and publication by University of Wisconsin Press are given annually for poetry collections. Deadline September 15. Entry fee: $28. Fiction and nonfiction writers: The weather’s changing and hopefully stirring up creative energy for you to put towards your writing. Consider submitting to the following contests with upcoming deadlines, each offering at least $1,000 and publication. 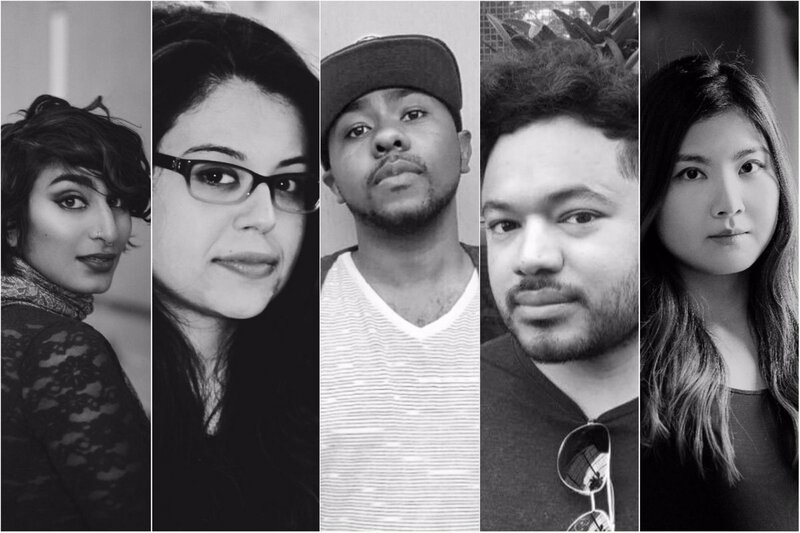 The Poetry Foundation and Poetry magazine have announced the recipients of the 2017 Ruth Lilly and Dorothy Sargent Rosenberg Poetry Fellowships. The annual awards are given to five U.S. poets between the ages of twenty-one and thirty-one. Each winner receives $25,800. Established in 1989 by Ruth Lilly, the fellowship program celebrates and encourages young poets to further their studies and writing of poetry. Visit the Poetry Foundation website for more information.